My juniors and colleagues requested that I guide them through this, so ta-da, another "How to" post. I am attaching screenshots of the process - step by step. Sorry for all the scribbling. I was too bored to Photoshop. I had already made my account so I could sign in. You can create an account if you don't have one, it's a piece of cake, really! Click on the “Documents” tab. Click on the “Letters of Recommendation” tab. Enter the LoR author’s name, title/department and the specialty to which it will be assigned (optional). Check the appropriate option under the “Additional LoR Information” box. Check yes or no, depending on whether you plan to waive your rights to view the letter or not. Click the “Save” button when you are finished. Once you have successfully created the LoR entry, you must confirm the entry before an associated Letter ID and Letter Request form can be generated. Once you have confirmed the LoR entry, you will no longer be able to edit or delete that entry. If you have made an error after confirming the entry, you must create a new one. Check the appropriate box or boxes for the LoRs you intend to confirm. Once the LoR status has been changed to “Confirmed for Upload,” a Letter ID will be generated and the “Print Letter Request Form” option will become available under the “Actions” column. Then go to oasis again. A. 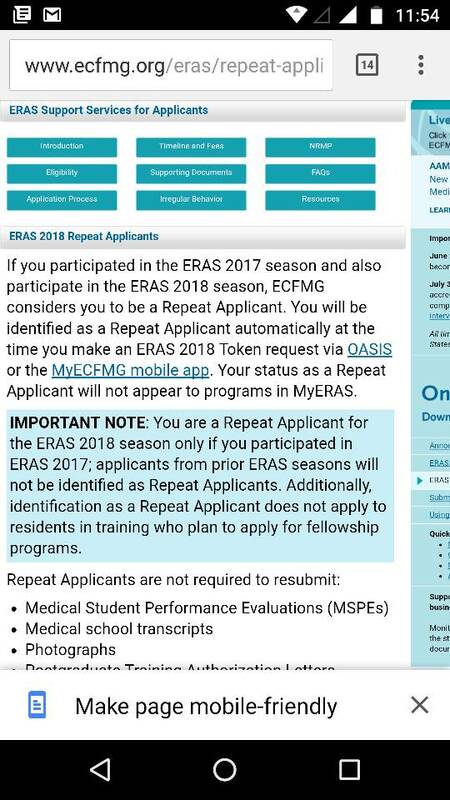 Does buying a token and applying next year make me a repeat applicant? Oh this question has haunted me since I brought my token. Yes, it does make you a repeat applicant - But what does "repeat applicant" mean? It simply means you got a token. That's it. What's more? Your status as a repeat applicant will not appear to programs.